SMVA is an award used to reward excellence in the art of creativity of production videos, and the origin or the basis for which SMVA was born to give a platform and equal opportunities to the various talents that Nigeria has recorded over the years. The hist ory of the Nigerian music industry will not be completed without the chapter of the group p-square. If achievements are one of the yard sticks to measure the success of artistes, P-square will remain number one on the chart of all research groups. They have defiled the odds, weathered the storm and re-written the history of the Nigerian music industry; they have also proven that there are always differences between artistes and musicians. 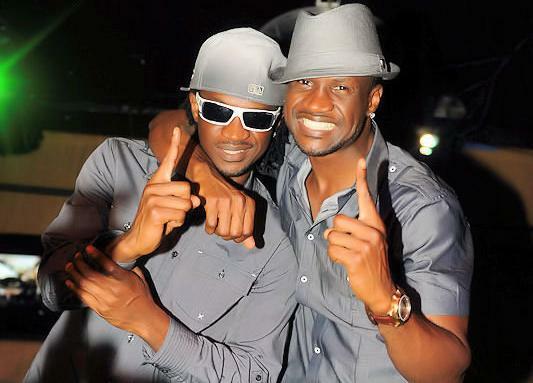 Arguable, p-square remain the most popular Nigerian artiste all around the globe. It is generally concluded that this set of twins PAUL & PETER OKOYE remains one of the greatest symbol of Nigerian entertainment industry alongside legendary Afro beat icon Fela. P- Square the dynamic duo who have been nominated in 4 various categories which are Best Editing, Best Duo or Group Video, Best Video and Best western because of their hit song Danger speak about SMVA. SMVA is making meaningful impact in the entertainment industry as it’s the only 24hr dedicated music channel, which gives them leverage and authority to host a video award says the Duo. It’s a good feeling and rewarding feeling to be nominated Pan African in these 4 categories but it came as no surprise to us because of the quality, value and time put into every song, video or album as we consistently strive to bring out quality videos, concepts and ideas and people are glad watching it because we don’t do half measures. Although the credits goes to the director as he is the brain child behind the videos. 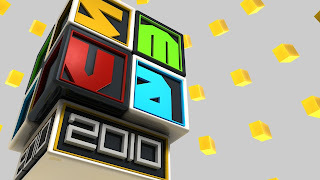 SMVA 2010 has incorporated a PAN African approach and this is a laudable feat and gives us a good challenge because we always give the best videos in Africa and without bragging as we have the best concept, quality, originality and videos that can be compared to our foreign counterparts. Speaking about Danger, an album which has been nominated for various awards, Paul explained the technicality and the procedure used to shoot the video, which he explained as tasking, rigorous and very challenging, the video which was shot in slow motion for every scene and required everyone taking panadol after every 2hrs. With this hard work, it leaves no doubt that Danger was made for SMVA awards because of the technicality. The criteria for the selection of nominees and winners of the SMVA’s are very technical as it is based on the creative interpretation and value employed in the expression of talent. The dynamic duo believe that they have what it takes to clinch awards because of the time, efforts and creative interpretation of their videos. The Nigerian artiste also know the value of work that their peers put into their videos and as such for a lot of categories the winners are almost known by the stake holders and that is the quality of video’s that P-square does. SMVA 2010 which will be taking place on the 20th of November at the new Expo Center, Eko hotel will be a breath taking event, as the dynamic duo who haven’t attended an award ceremony in the last 2years have pledged their support and attendance to SMVA as it is the only award ceremony who has the platform to host a music video award because of its 24 hour musical station.